With a built-in microphone and volume controller on the earphone cord, you can take hands-free calls from your Android or IOS devices. You can answer the phone by clicking the middle button. During the period of answering, you can click the middle button to mute the volume or cancel the mute. If you're using an iphone, you can press the middle button twice to hang up the call. If you're using an Android phone like Samsung or Huawei, just long press the middle button to hang up the phone. Three times - last song. The volume button just can control the volume. 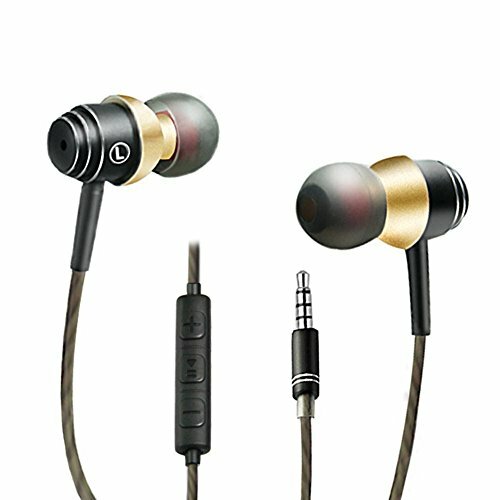 3.5mm gold plated audio connector for perfect signal transfer.3.5mm gold plated audio connector for perfect signal transfer. Three different sizes of earbuds for perfect fit and comfort. Excellent Stereo Sound Quality! Frequency Response: (20-20kHz). If you have any questions about this product by SUPNEW, contact us by completing and submitting the form below. If you are looking for a specif part number, please include it with your message.